This is adapted from Jamie's 15 Minute Meals...took me around 45 minutes! You obviously have to enjoy liver for this one, very rich which is why it's served with a basic salad. 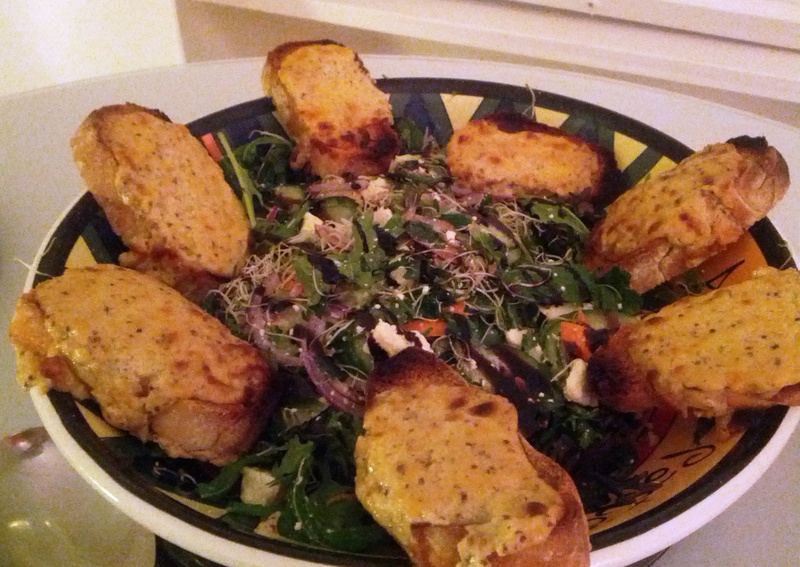 To make salad - toss all the salad ingredients together and arrange in large serving platter & set aside. To make Rarebites - heat oven grill on high. Cut ciabatta into thick slices and lightly toast on both sides. Finely grate cheese into a bowl & mix with the yoghurt, mustard, Worcestershire sauce and a few dashes of Tabasco sauce. Spoon over the toasted ciabatta & return to the grill on the middle shelf, removing when golden & crisp. Arrange around the edge of the salad platter. 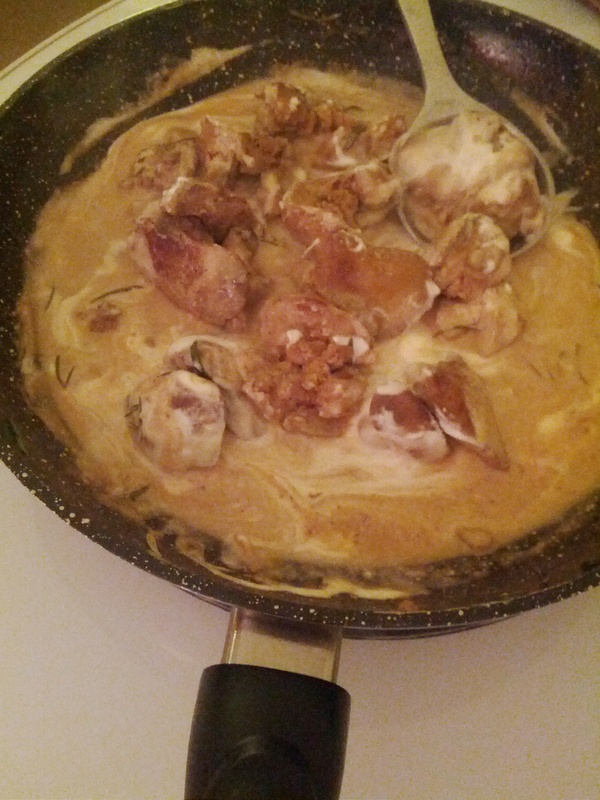 To make Livers - heat a frying pan on high heat with 1 tbsp of oil and add the chicken livers and rosemary leaves. Toss regularly for 3 minutes, season with salt & pepper, add the marmalade & Marsala, carefully light with a match, let flames subside & cook until sticky, then remove from the heat & stir in the yoghurt. Enjoy!